Sewers seem like they’re hard to give gifts to, but you’ll realize that it’s easy to make them feel ecstatic! Someone close to you is probably already creating something with fabric, needles, and thread right now with a huge grin on their face. Don’t think that finding gifts for them can be extremely frustrating; especially if you’re giving them something that you want them to love. 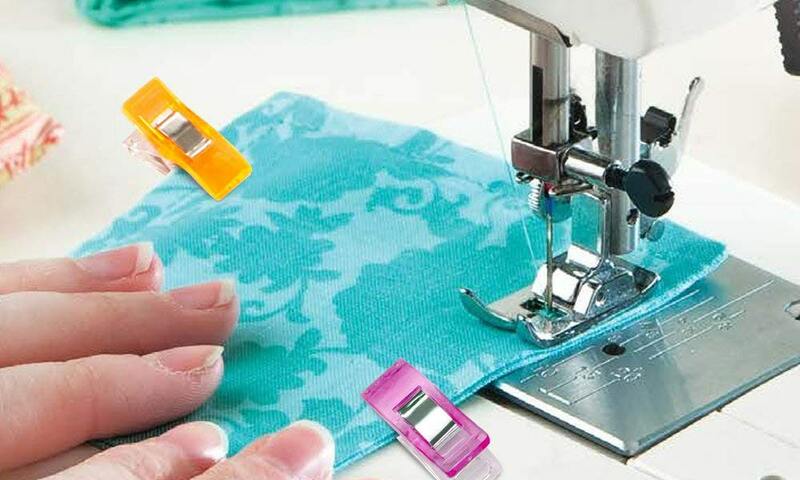 If you’re not familiar with the ins and outs of sewing, then lucky for you, we have a list of things that you can give for that sewer in your life! You’ll probably go “whoa!” at the amount of sewing clips in this set, but remember, you can never have too much of anything when it comes to crafts and hobbies. Not all sewers like using pins on their fabrics, so these multi-purpose sewing clips are going to be an excellent gift. It comes in 9 different colors and is packaged in one nifty pin that your sewer pal wouldn’t mind displaying in their little sewing nook. Get them on Amazon for just $9.99! You might remember pincushions to look like tomatoes or a tiny pillow, but it has since leveled up now. They’re magnetic now, ensuring that pins and needles are extra safe. Grabbit’s magnetic pincushion comes in 7 different colors and also comes with 50 pins. The person who’s gonna get this gift will be able to just easily pick up a pin instead of wasting time trying to carefully pick one out from a traditional cushion. Get this on Amazon for just $9.38! Even non-sewers know that Singer is the go-to brand when it comes to sewing machines and accessories. Why not make a sewer’s day by giving them something from a brand that knows their stuff? 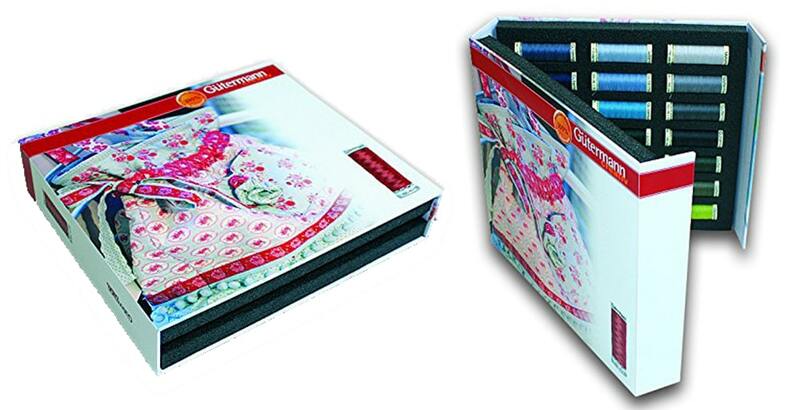 This sewing caddy comes with a removable tray, 10 hand needles, 100 dressmaker pins, scissors, 10 mini thread spools, needle threader, pin cushion, seam ripper, tape measure and thimble. It’s the perfect gift for a beginner sewer! Fair warning; expect your receiver to get hooked on sewing when they get this set. Get it on Amazon for just $24.35! You need to know that sewers come in all shapes and sizes. 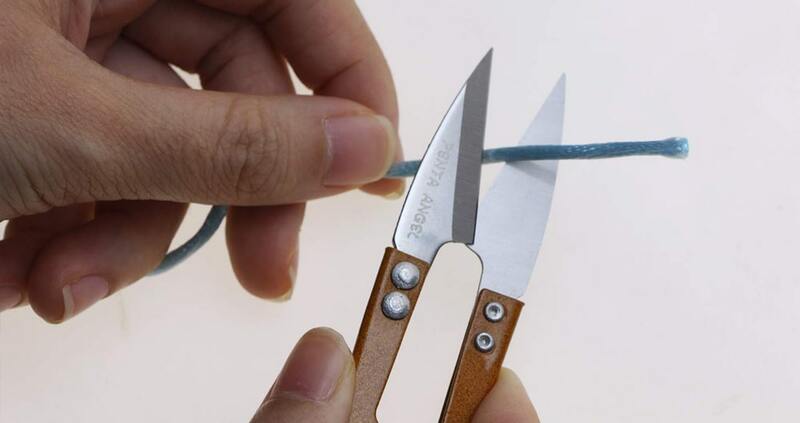 Some prefer traditional methods like using seam rippers, while there are others who adore sewing scissors. If you’re giving something for the latter, then go with PENTA ANGEL’s 3-pc multicolor set. Its blades are made out of high carbon steel, which makes it a versatile cutting tool that can also be used around the house. It can easily cut through threads and yarns without damaging the fabric, unlike with seam rippers. You can give the whole set as a gift, or you can choose to keep one for yourself. You can pick these up for just $5.99! Now, you might think that these threads are quite expensive. However, you have to know that the cheaper the thread is, the more flimsy the finished product is. These are high-quality threads that come in 42 different shades, at 100m per spool. The notebook that comes with it is hard-backed and allows for easy storage of threads. No need to waste time sorting through unorganized spools, when you can just easily open up this notebook and picks the shade you want. Get this for just $53.84! This premium rack can definitely hold almost anything and everything that a sewer can imagine. 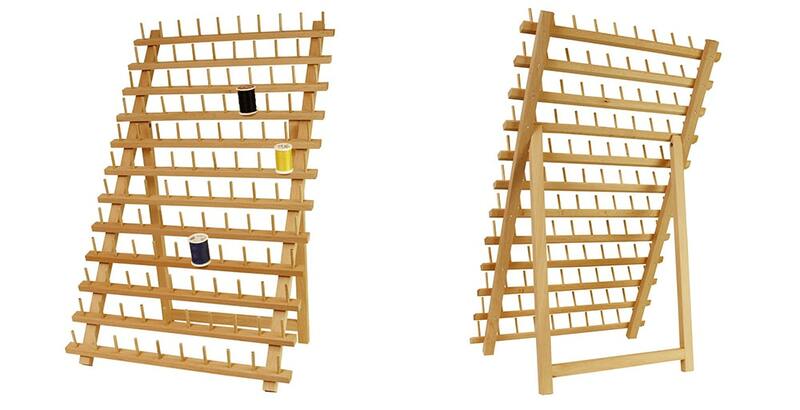 It has capacity for 120 spools and is made out of natural hardwood, guaranteed to last for a very long time. It can be put on a table or hung on a wall—complete space saver! It’s also an excellent gift for the OCD sewer who just needs to have a place for each and every spool and cone in their collection. Get it for just $26.96! Aside from being a travel essential, mini irons are a must-have for sewers. It literally helps iron out kinks on the go, ensuring that finished pieces come out looking top-notch instead of wrinkly and ugly. This steam iron from Steamfast comes highly recommended for a variety of people, as it’s a straightforward item. It heats up within 15 seconds, has a 1.4oz water tank, and has three temperature settings. It also comes with a 2-year warranty. Get this Iron for just $23.99! This desk lamp from TaoTronics can be helpful for sewers who like to do their craft late at night, or if they’re extremely detail-oriented and meticulous. 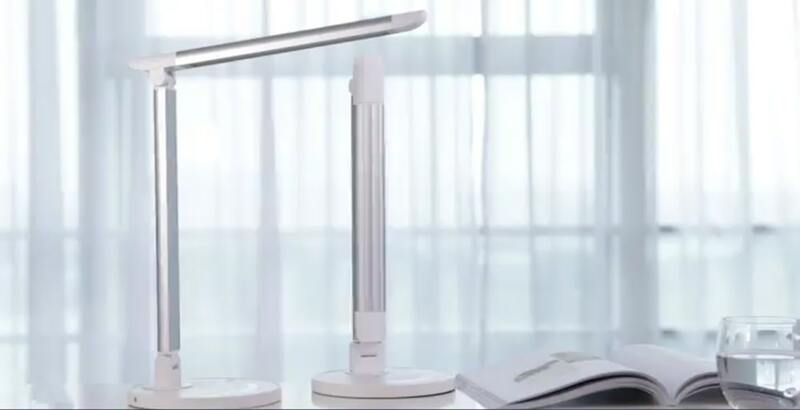 It’s an energy-efficient desk lamp that has different color modes, in 7 different brightness levels. Sewing can do a lot of damage to someone’s eyes in the long run; why not give your favorite sewer a desktop lamp like this? It’ll reduce eyestrain and it’ll allow them to create more projects with their hands. Get this lamp for only $29.99! Who doesn’t like to work while music plays in the background? If someone needs inspiration or just wants to sew while getting lost in the music, this is a great gift for them. 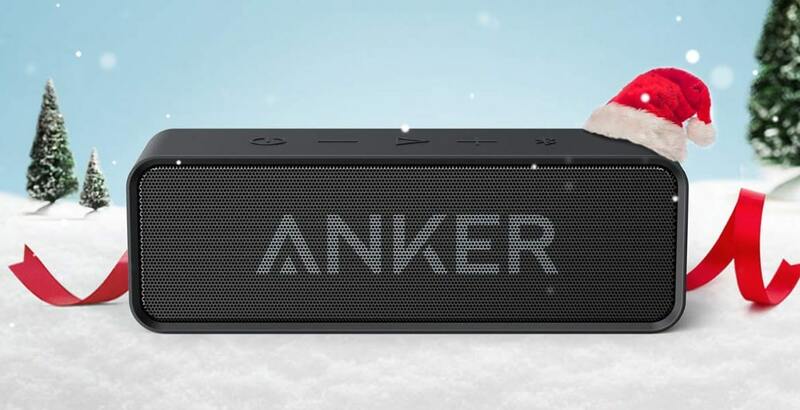 Anker’s Bluetooth speaker comes in 3 different colors and can last for up to 24 hours on a full battery! It’s also quite lightweight, yet very powerful. While you’re at it, maybe you can create a sewer’s playlist. Rock-out for just $27.99! A chef’s greatest tool is his knife, which is akin to how dressmakers and sewers need an excellent pair of shears. A good sewer would not be caught dead with a cheap pair of shears. 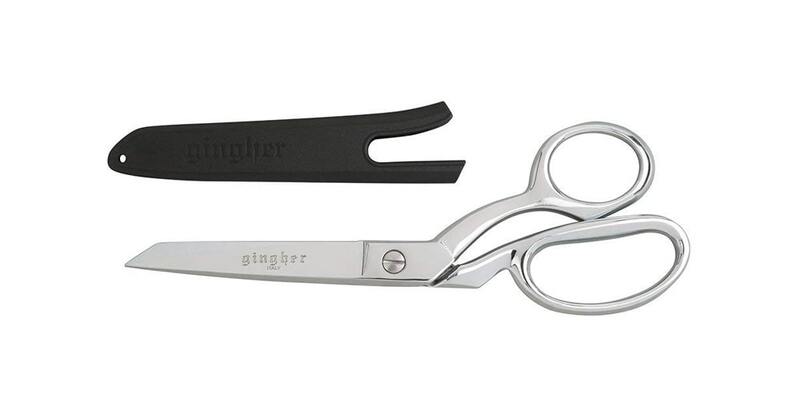 Luckily, Gingher’s pair is quite affordable but can still provide almost the same quality of cutting as high-end ones. This is perfect for the hobbyist who wants something that can last them for a long time. Get these for just just $17.88! 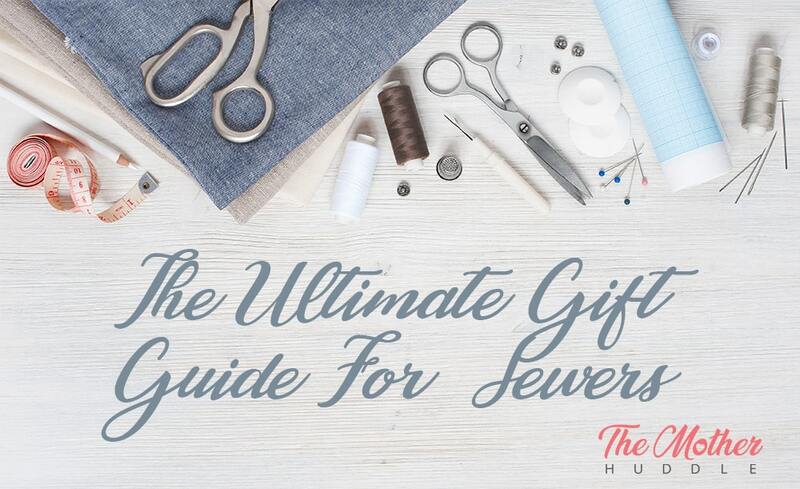 Whether you’re giving a gift for someone who just got into sewing, or someone that you can trust with making tailored suits or customized dresses, getting them one of these gifts will truly show how much you appreciate them. You don’t have to rack your brain hard to find something; our list already did the job for you. Go on and make a sewer smile!